With around 90 percent of world trade carried by ships, making sure a vessel follows the fastest route has clear economic benefits. 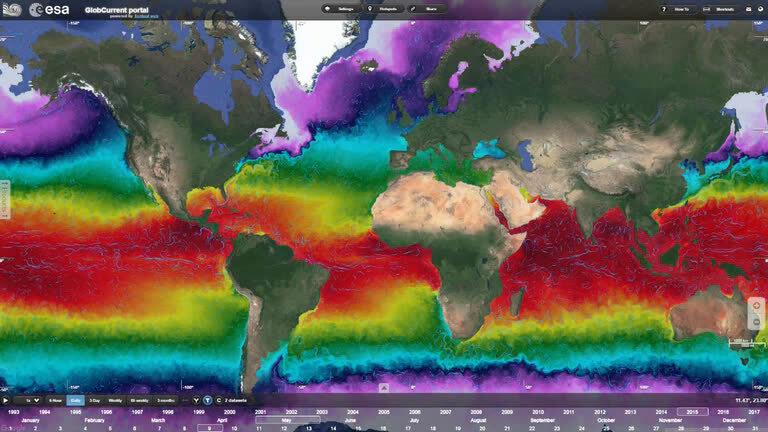 By merging measurements from different satellites, ESA is providing key information on ocean currents, which is not only making shipping more efficient but is also helping to reduce carbon dioxide emissions. ESA's Globcurrent project has merged measurements to build a picture of daily global ocean surface currents over the last 24 years. Shipping companies can use this information to understand general circulation characteristics of particular regions. Fabrice Collard from Ocean Data Laboratory said, "The lack of confidence in ocean-circulation models has hindered ship routing. "Today, Globcurrent can help assess which forecast products are the most reliable for a given local area. This, in turn, helps shipping companies choose a particular route that would make use of favourable currents." Patrice Bara from CGM-CMA remarked, "Reducing container vessel fuel consumption is an important challenge, especially when trying to cut down on emissions that contribute to global warming. "Based on our experience with the Europe–Asia route, using existing ocean forecast products gives us a 0.4 percent cost saving. However, Globcurrent could help us achieve savings of up to 1.2 percent on fuel consumption. "It is extremely important for us to assess the reliability of model forecasts against Globcurrent products in near-real time and to achieve our first target of reducing emissions of carbon dioxide by 180 000 tonnes a year." Craig Donlon, ESA ocean scientist, added, "The importance of ocean surface currents cannot be overstated for those working on the ocean. 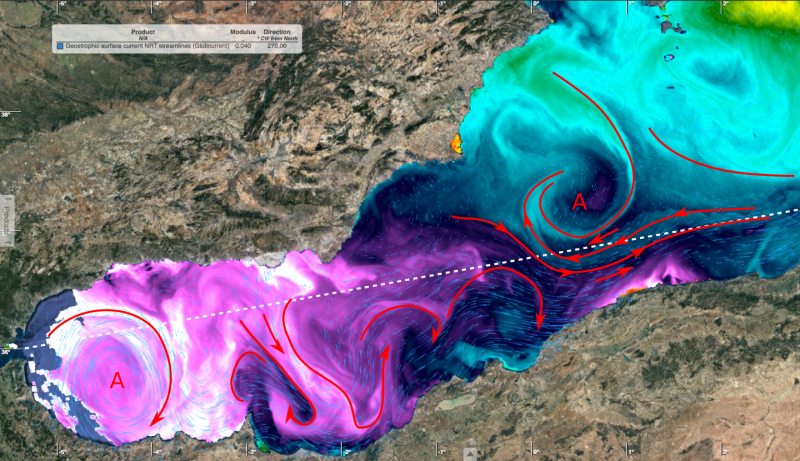 "Helping European industry to fine-tune their ship routing operations with Globcurrent brings not only financial savings but also the potential to reduce greenhouse gas emissions. 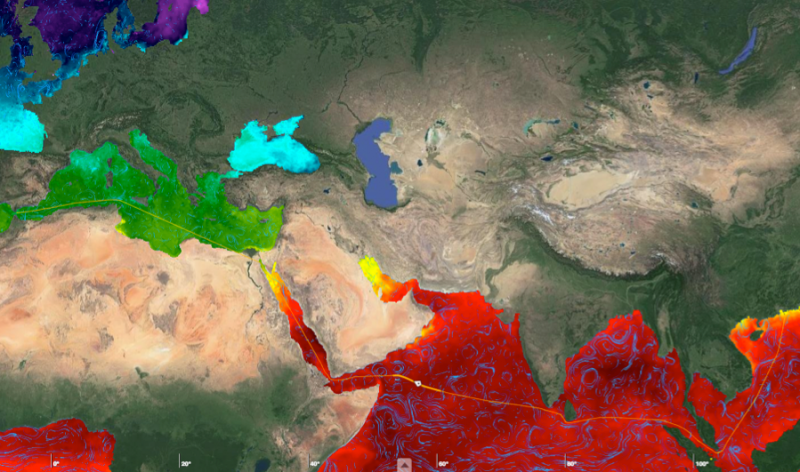 "Now Globcurrent has been demonstrated, the operational generation of products will be transferred to the Copernicus Marine Environmental Monitoring Service in the coming months. "ESA will continue the fundamental task of scientific research and development to maintain and evolve the new system to take full benefit of the Copernicus Sentinel-1, Sentinel-2 and Sentinel-3 satellites, and in the future Sentinel-6."